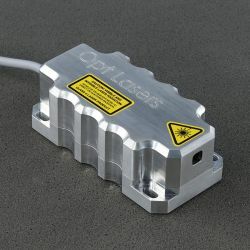 Fiber-coupled 800 mW green laser module with a wavelength of 520 nm. The device allows attaching the 100 um 0.22 NA fiber. 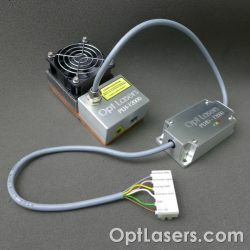 Fiber-coupled 25 W 980 nm laser module. 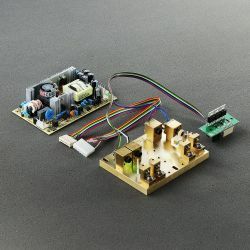 The is a professional 4 W full RGB Laser Module. It is built using brand new laser diodes and high-level optics. 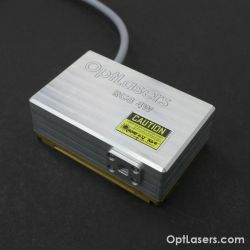 This is a professional 4 W full RGB Laser Module. It is built using brand new laser diodes and high-performance optics. 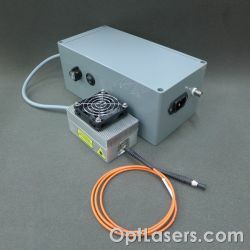 Fiber-coupled 1600 mW blue laser module with a wavelength of 445 nm. The device allows attaching the 100 um 0.22 NA fiber. 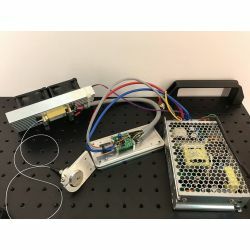 Fiber-coupled 500 mW red laser module with a wavelength of 638 nm. The device allows attaching the 100 um 0.22 NA fiber.